This Electroplate Core Drill is used in hand held driller, it is designed of household uasge. Diamond electroplated Core Drill Bit with diamond coating gives superior performance on all kinds of stone, like granite, marble, masonry etc. Nickel-plated with a diamond dust coating offers superior performance and cutting strength. Cut tidy, smooth, no broken edges and no tremor phenomenon. 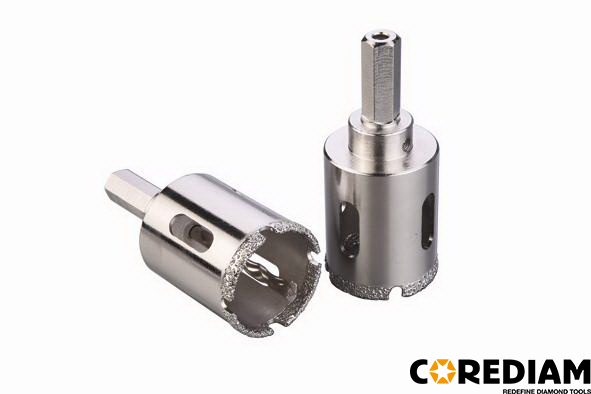 The cooling holes on the core can reduce the temperature during drilling. This household electroplated disc is your best choice for family used. We also have Wet Core Drill, turbo Core Drill and Dry Core Drill. 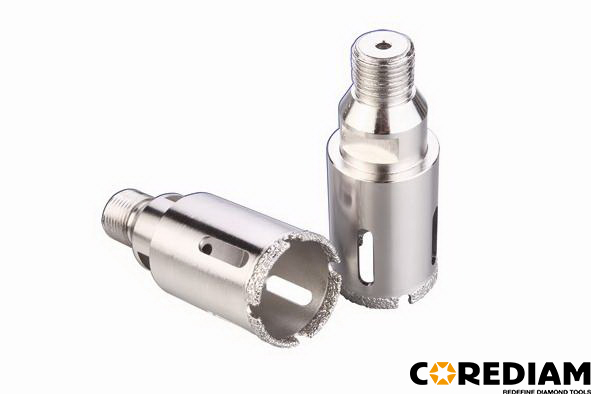 Looking for ideal 102mm Household Electroplated Core Bits Manufacturer & supplier ? We have a wide selection at great prices to help you get creative. All the 102mm DIY Electroplated Stone Hole Saw are quality guaranteed. We are China Origin Factory of 102mm DIY Stone Electroplated Core Drill. If you have any question, please feel free to contact us.